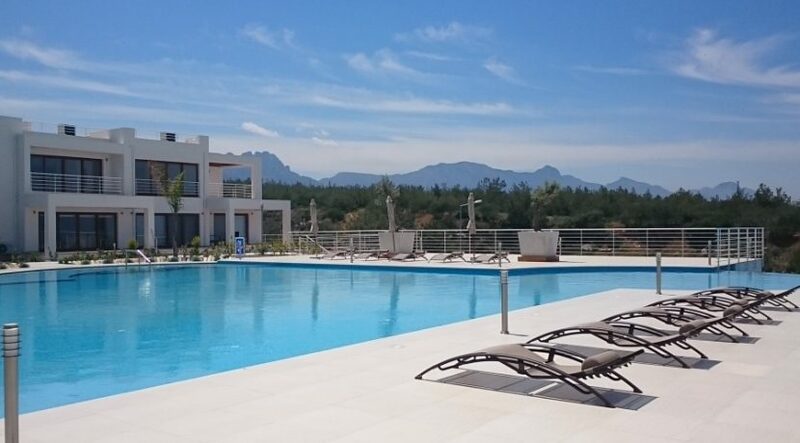 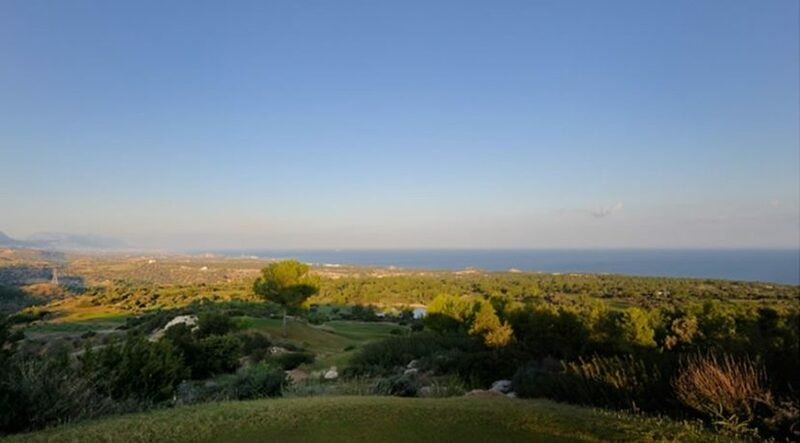 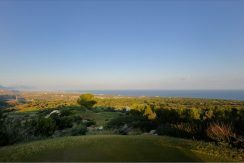 Exclusive Luxury 2 bedroom North Cyprus Golf Penthouse close to Kyrenia with frontline sea & mountain views and £6,000 p.a. 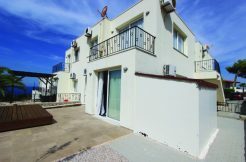 rental guarantees for investors. 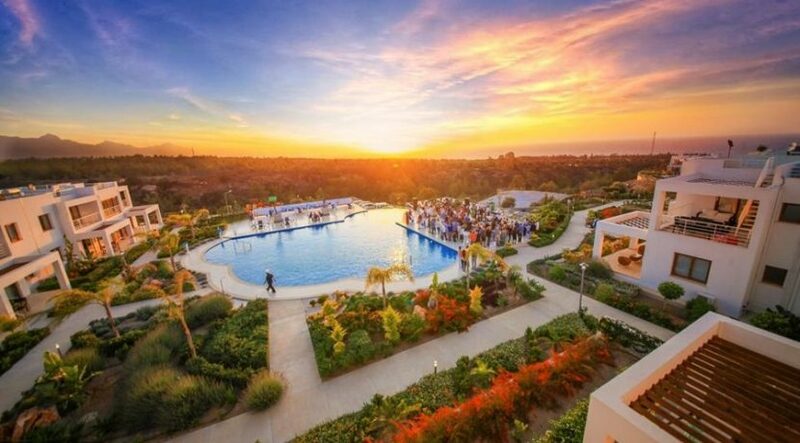 It does not get much better than this. 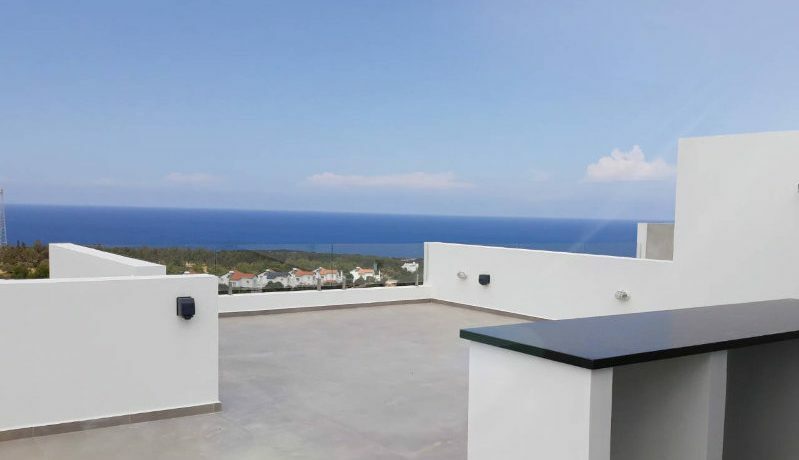 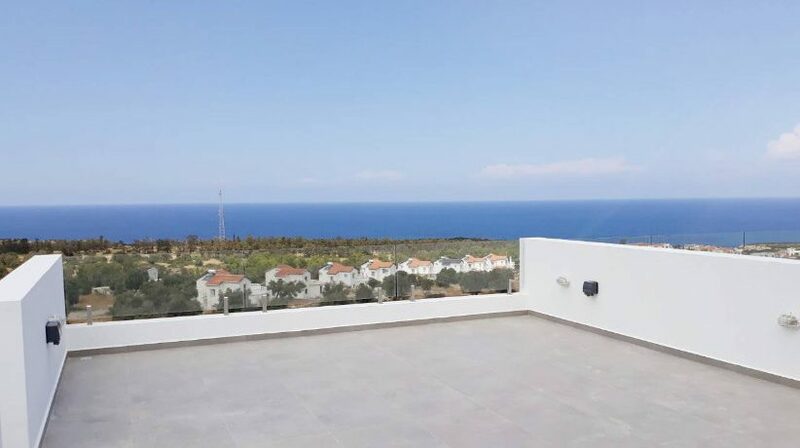 A brand new, state of the art golf and beach penthouse built up on an elevated plot with shared infinity pool, plus the best panoramic sea and mountain views available from the living area and your private roof terrace. 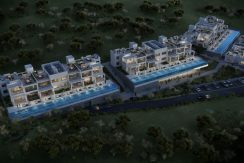 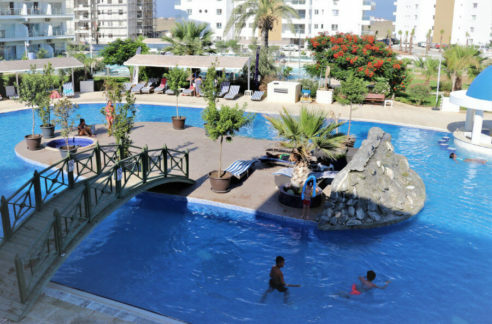 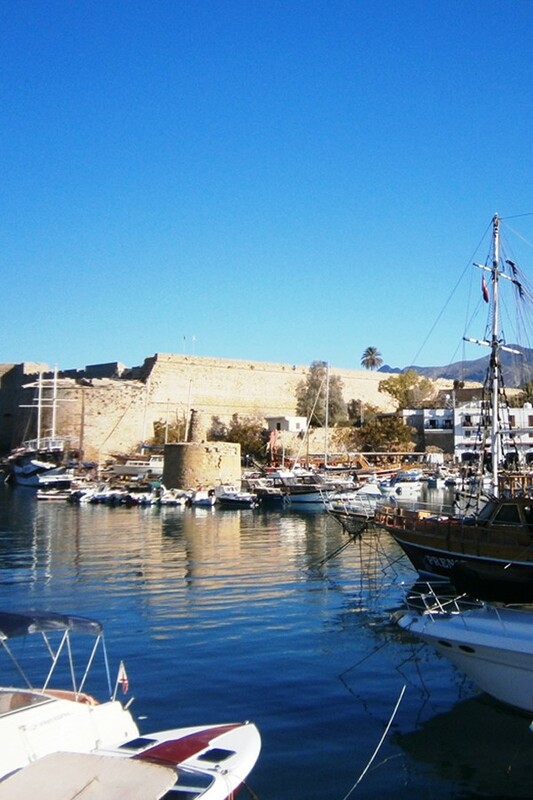 Just 15 minutes away from Kyrenia – owners will enjoy the best all year luxury facilities available in Northern Cyprus. 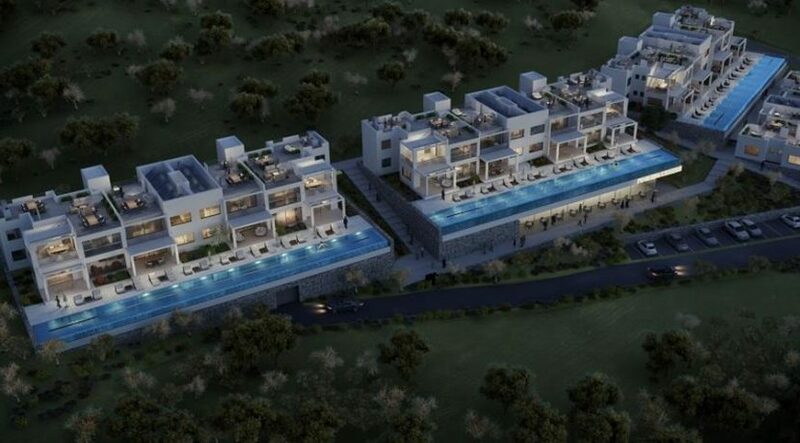 Most of the facilities are completed and include indoor heated pool, spa with sauna and Hammam, sports courts and much more. 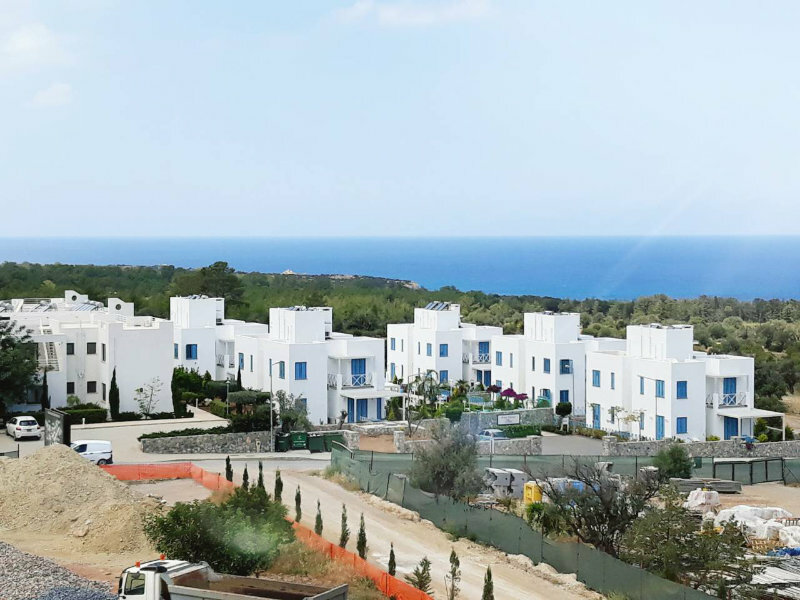 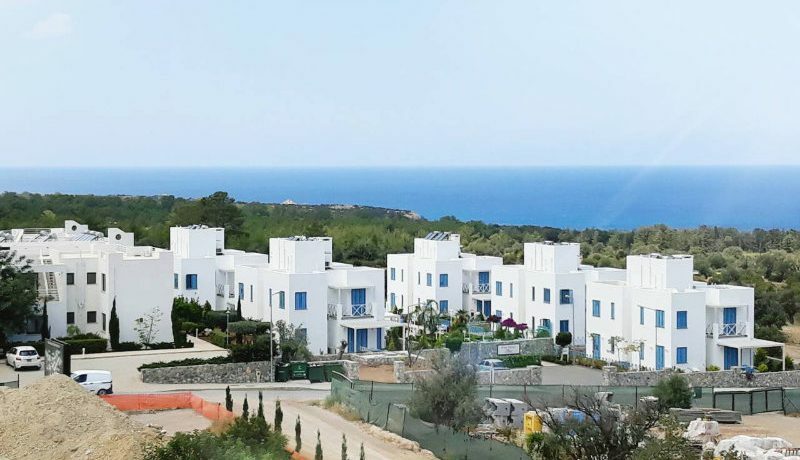 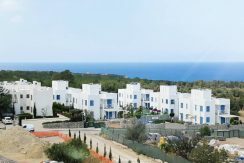 Set on the hillside surrounded by nature trails and pine forests, these lovely apartments make up part of a new complex which includes larger villas, townhouses and apartments, already selling out to both buyers and holiday let visitors. 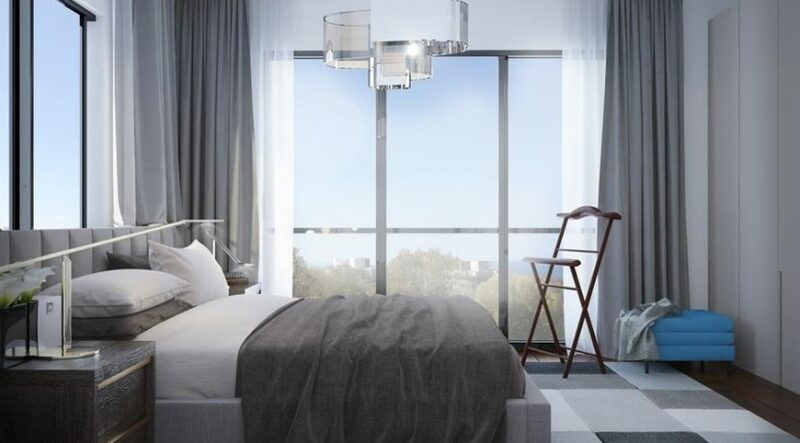 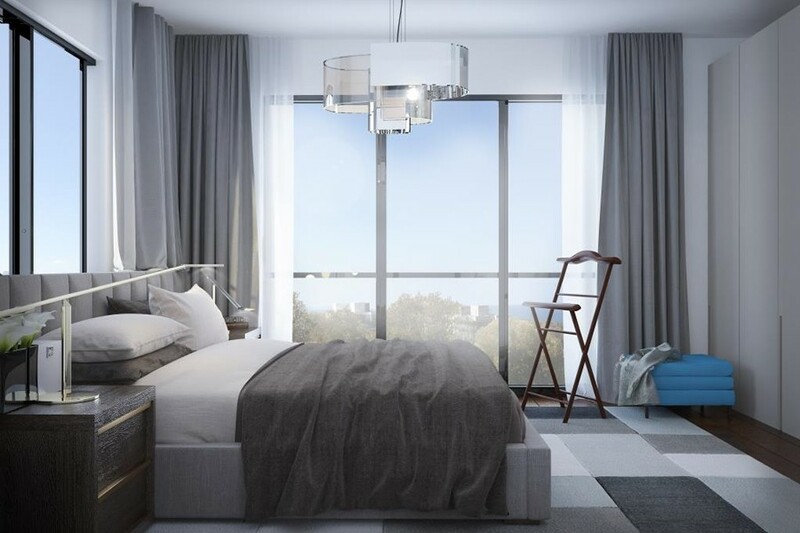 Even if you don’t usually buy off plan, think twice about this option, as in this case the units are expected to sell out well before completion. Adjacent to the Korineum 18-hole golf course, a regular shuttle will take owners both to the Golf and country club, with its fabulous restaurant open to all, as well as to the lovely beach down the hill. 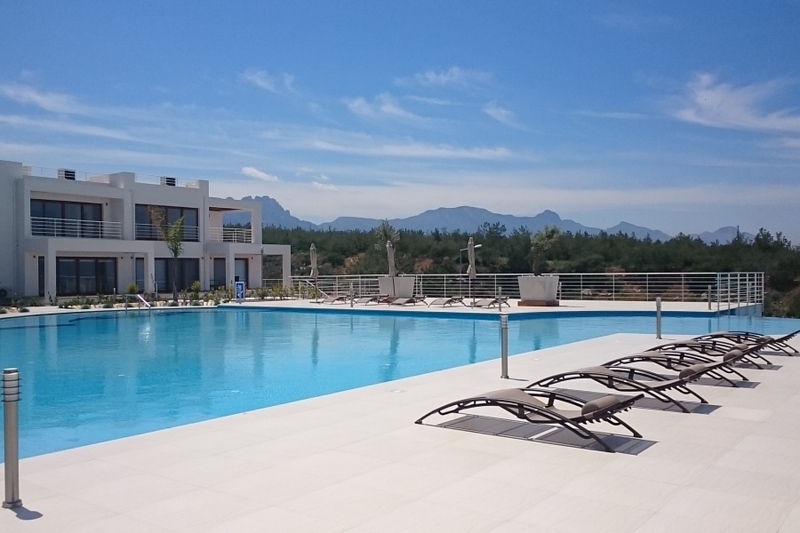 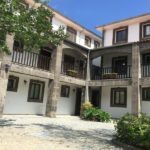 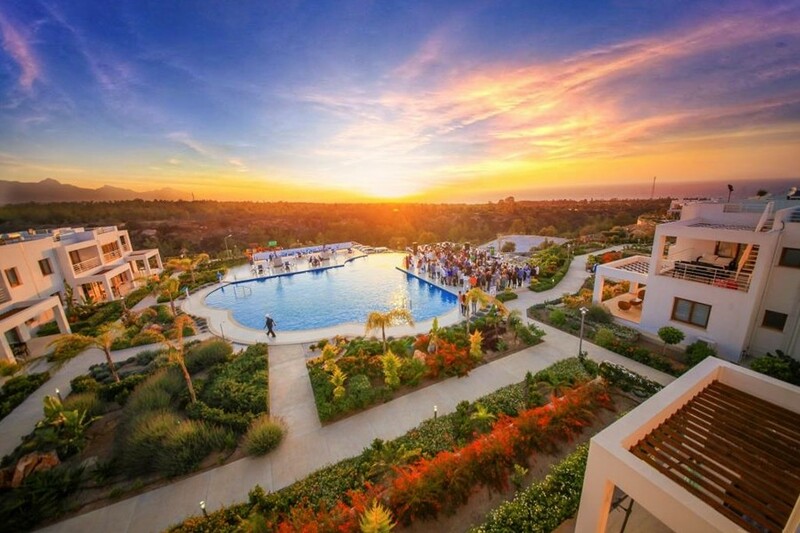 A short drive away is the brand new Elexus hotel, with many international restaurants offering a range of cuisine, as well as a water park for families. 2 and 3 bedroom garden units are also available in this range – contact us for full details or to arrange a viewing. 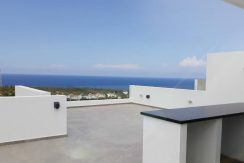 These include BBQ, sink and shower on your private roof terrace. 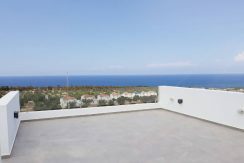 Underfloor heating, rooftop Jacuzzi and an enclosed garage or storage unit.